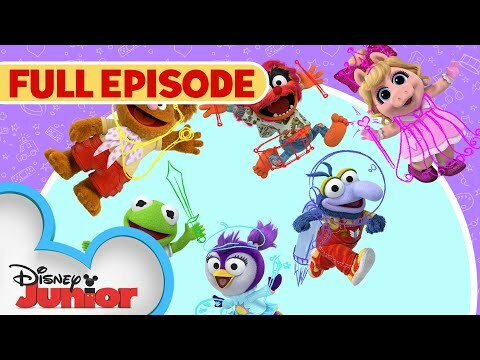 Be sure to go on more adventures with the Muppet Babies, on Disney Channel and DisneyNOW! The MUPPET BABIES are here to make dreams come true! Join Kermit, Piggy, Fozzie, Animal, Gonzo and Summer on all their playroom adventures! Whether they're building a time machine, blasting off into outer space or watching Gonzo launch himself out of a cannon, the sky is definitely NOT the limit for the Muppet Babies! Along with the help of Miss Nanny, the Muppet Babies will use their imaginations to explore their playroom and beyond!